The recovery in healthcare stocks started in May 2018 but faced some selling pressure in recent weeks as market volatility increased. 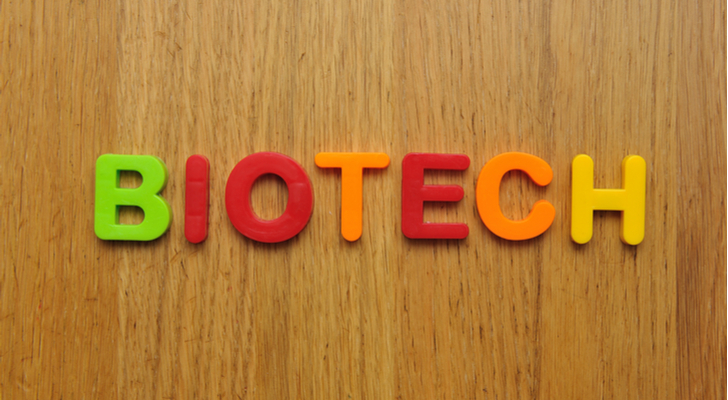 The iShares Nasdaq Biotechnology ETF (NASDAQ:IBB) fell by around 4.3% in the last week, and is down slightly on the year. To participate in the general rebound in healthcare stocks, investors should consider a few things first. The stock should be a large-cap drug firm with multiple product releases on the horizon. Its valuations should be reasonable, so that would exclude most startup biotech companies that have no revenue. And most importantly, the stock should be on an uptrend, which signals that investor sentiment is no longer bearish. So without further delay, here are seven of the best healthcare stocks for investors to keep an eye on. 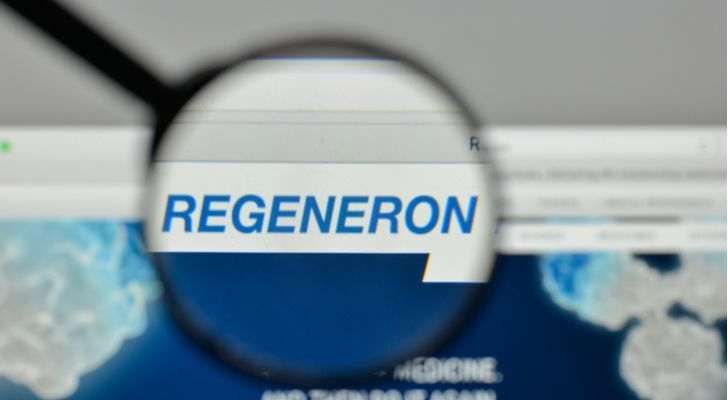 Regeneron Pharmaceuticals (NASDAQ:REGN) is on the top of the healthcare stocks to buy. The company has a dominant position with its Dupixent drug, which treats atopic dermatitis in adults. Regeneron faces few competitive threats from other firms in this space because Dupixent is so effective. 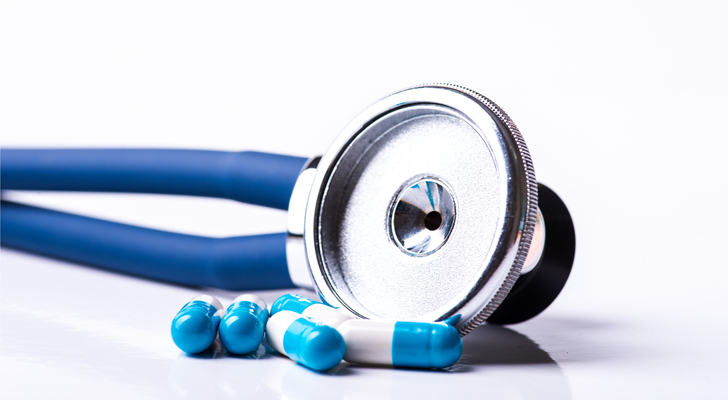 Management continues to seek a larger population of patients for the drug. On May 16, the company reported positive phase 3 trial results for adolescents suffering from inadequately controlled moderate-to-severe atopic dermatitis. So, even though Regeneron’s stock is up 18% from its May lows, its revenue growth prospects may improve. In its second quarter, Regeneron reported earnings of $5.45 a share on revenue of $1.61 billion. Revenue grew 9.5% over last year. REGN stock, which trades at a forward P/E of 17.9 times, is inexpensive in light of the upcoming product releases. Late-September, the FDA approved Regeneron’s PD-1 inhibitor Libtayo, used to treat metastatic cutaneous squamous cell carcinoma. The drug will retail for $9,100 per three-week cycle. Development for EYELEA continued when the company said the drug, which treats diabetic retinopathy, will seek a marketing application from the FDA. The FDA decision will be on May 13, 2019. The good news does not stop there. On Oct. 19, the FDA approved Dupixent for treating asthma. Previously beaten up and left to fall to the single-digits, Bausch Health Companies (NYSE:BHC) defied short-sellers by fixing the company. Short float stands at around 5%. This shows how bearishness faded in the last few years. The company’s name change from Valeant Pharmaceuticals has little to with BHC’s recovery. Much instead has to do with the company selling down non-core assets, lowering its debt, refinancing upcoming bond maturities and launching new products to market. Like with atopic dermatitis, the healthcare community lacks a good treatment for psoriasis. With minimal competition, Bausch could make plenty of sales for this lotion. And when the stock is trading at a forward P/E of 7.4 times, markets are not pricing in the company’s potential success in new product sales. Investors should note the insider buying activity with BHC stock. Director Richard De Schutter bought 125,000 shares at $23.96. CEO Joe Papa bought 30,000 shares at $22.32. Gilead Sciences (NASDAQ:GILD) is trying to hold onto its uptrend that started in May. The stock, whose dividend yields over 3%, announced the approval of Biktarvy in Hong Kong on Oct. 3. The drug, which treats HIV-1 infected adults, met its primary efficacy objective at 48 weeks. 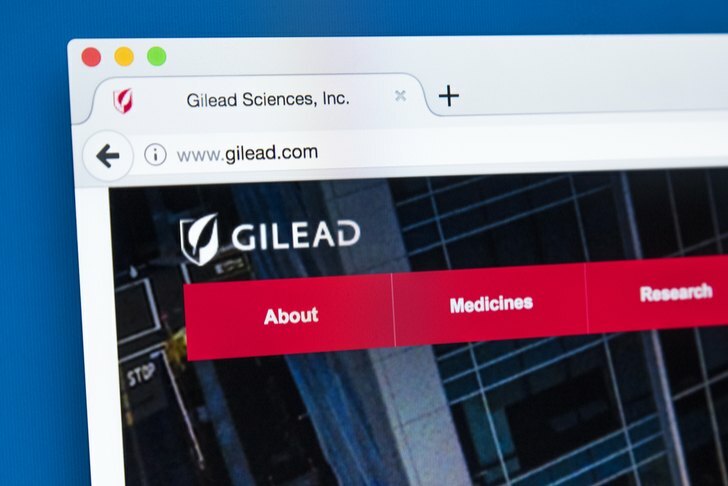 On Sep. 24, Gilead announced the generic launch of Epclusa and Harvoni. The new pricing will open Gilead’s market in the HCV (hepatitis C) market. It allows the company to target patients who do not have rebates or discounts available. Assuming Gilead successfully grows its market share and sells a high volume of the drug, investors may forecast higher cash flow growth ahead. Kite Pharma, a company Gilead acquired, is also making good progress with developing a therapy to treat cancer. Kite will collaborate with HiFiBiO Therapeutics to “develop technology supporting the discovery of neoantigen-reactive T cell receptors (TCRs) for the potential treatment of various cancers, including solid tumors.” The financial terms are negligible for Kite, who will pay $10 million upfront to its partner. When certain milestones are met, Kite will compensate HiFiBiO accordingly. GILD stock trades at a low valuation of 10.6 times forward earnings. Not bad among healthcare stocks. 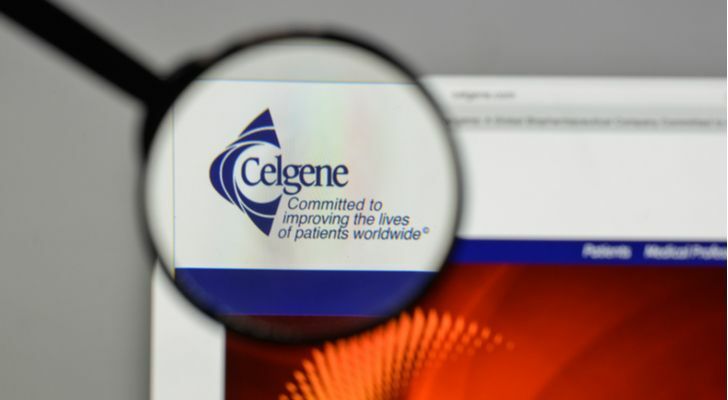 Celgene Corporation (NASDAQ:CELG) is another deep-value play, as the stock remains stuck with a forward P/E of 7 times. Even after trading around 18% above yearly lows, the stock could bounce back to the $100 range. As it carries on developing new drug therapies, the stock will respond by moving higher. Celgene is planning for strong growth starting in the year 2021, so investors will need to hold the stock for at least three years. 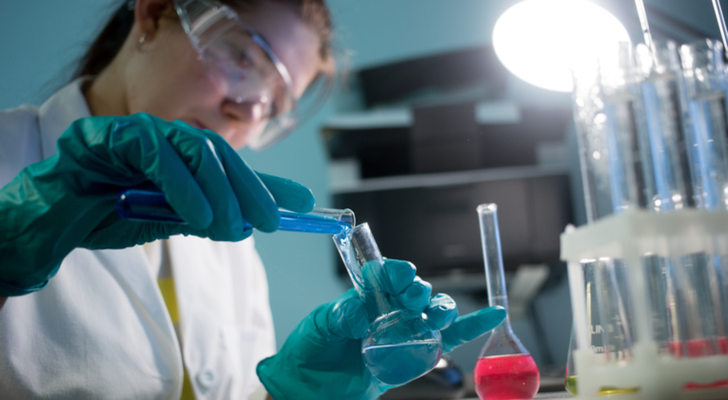 The expansion plan accelerates as Celgene targets earlier lines of treatment. Celgene’s drug targets in 2021 include treatment of CLL, or Chronic Lymphocytic Leukemia and Fedratinib, a highly selective JAK2 kinase inhibitor for treating myelofibrosis and polycythemia vera. Over the next 12–18 months, Celgene will focus on forging external partnerships to widen its addressable market. It will continue developing its business, especially in the area of cellular immunotherapy. The pace of science development is brisk, so Celgene needs to continue a strong leadership position as it develops treatments for myeloma. Sarepta has potentially strong growth ahead if trials, which start at the end of the year, eventually lead to a gene therapy-based treatment. This area is a novel and growing field. CRISPR Therapeutics AG (NASDAQ:CRSP), for example, surged to over $70 in May as investors grew overly excited for the prospects of gene therapy. In its most recent quarter, Sarepta reported first-quarter revenue of $64.6 million, up three-fold from the previous year. By Q2, revenue, due to sales of EXONDYS 51, reached $73.5 million and up 110% year-on-year. The company forecast first-half sales of $138 million. And in 2018, the company provided revenue guidance in the range of $295 million-$305 million. Sarepta has a healthy balance sheet, is expanding geographically and is investing in its manufacturing capabilities. It already planned to grow the employee count to over 500 to support such initiatives. In the medical laboratories and research space, Exact Sciences Corporation (NASDAQ:EXAS) gave investors a rare entry point when the stock fell in August, from over $65 to a low of below $50. The stock surged back to $80, but settled recently at around $62. On Aug. 22, the company formed a co-promotion agreement with Pfizer (NYSE:PFE) for Cologuard. Cologuard is the first and only FDA-approved DNA colon cancer screening test. The co-promotion deal is a nationwide agreement, where Pfizer will provide the marketing support for the product. And since LYRICA is losing exclusivity, the two companies will have a strong marketing force that will educate patients and the healthcare professionals in the area of colon cancer screening. This deal is a positive catalyst for accelerating the growth in Cologuard adoption. By strengthening in three areas, investors may expect strong revenue numbers from Exact Sciences. 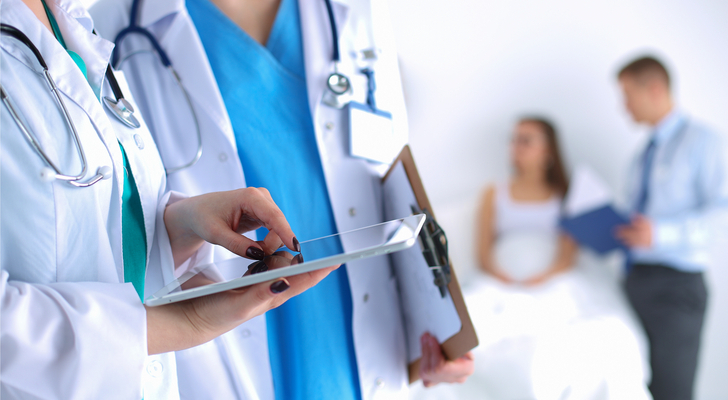 First, more sales professionals will call on healthcare providers. This will increase the frequency of primary care physicians in getting their patients to use Cologuard. Second, the size and relationship of the team will more effectively increase the healthcare providers’ awareness of Cologuard. Already, Exact Sciences penetrated 33% of the 350,000 healthcare providers. With Pfizer’s involvement, adoption for Cologuard will increase. Third, advertising and promotional activity will further drive adoption. Pfizer is putting in over $65 million in marketing activities over the next three years. What then, does Pfizer get in return? The promotional fee to Pfizer will include 50% of the gross profit above a certain baseline. When the agreement ends, Pfizer gets 3% royalty of Cologuard revenue for up to three years. That makes it one of the ideal healthcare stocks to keep an eye on. ACADIA Pharmaceuticals (NASDAQ:ACAD), just last month, bounced from the $13-$14 range to close at around $22 last week. Markets realized the potential for its blockbuster NUPLAZID drug. Doctors prescript this drug to treat psychosis in patients suffering from Parkinson’s. On Sep. 20, the FDA posted that it found no new or unexpected safety risks with the drug. Previously, one media outlet wrongly accused ACADIA of the risks and dangers associated with the drug. The FDA’s report sided with Acadia, citing that existing findings do not find any unexpected safety issues with the drug. Any media firm could easily pick on Acadia’s Nuplazid. The antipsychotic has a Boxed Warning, warning patients of the increased risk of death in elderly patients with dementia-related psychosis. But patients at this age and suffering from advanced Parkinson’s disease have a higher risk of death in general. With the FDA clearing Acadia, short-sellers, which numbered 12.9% of float, will have to cover their bearish position. This could send the stock back to previous highs in the $30-$38 range. Article printed from InvestorPlace Media, https://investorplace.com/2018/10/7-rising-healthcare-stocks-to-consider/.